Can a High Dosage of Vitamin C Stop Cold Sores from Forming? » Can a High Dosage of Vitamin C Stop Cold Sores from Forming? Does Vitamin C Prevent Cold Sores Outbreaks? Which Foods Are High in Vitamin C? Will Vitamin C Stop Cold Sores from Forming? Caused by the herpes simplex virus (HSV 1), cold sores can be very painful. In search of both healing and prevention, people often look for alternative treatments that work. These options can sometimes include vitamins and home remedies for cold sores. While many questions linger as to which natural treatments deliver results, high dose vitamin C does show signs of promise. This is not only true for vitamin C but other vitamins and supplements as well. It works best when used as a part of a healthier lifestyle, but there’s no way to guarantee the prevention of an outbreak. Critical phytochemicals, known as bioflavonoids, can also potentially help to prevent cold sores. This is especially true if vitamin C is working in conjunction with these potent super-antioxidants. If you’re seeking to give your health a boost, we recommend Herp Rescue Immune System Support. It contains vitamin c, L-Lysine, zinc, and other essential nutrients. Your body urgently needs all of these things to effectively fight off HSV-1. Does vitamin c for cold sores work? We will seek to answer that question. Before we address how Vitamin C can help to stop cold sores from forming, it is important to understand more about the vitamin. Also known as ascorbic acid, vitamin C is great for your immune system. Helping to lead the fight against colds and infections, vitamin C is critical. This is why many people are often encouraged to drink orange juice. Especially children and young people. Essential in the healing process of skin tissues, steady intake of ascorbic acid has the properties to treat HSV 1. How does vitamin C work? As it relates to the topic of cold sores and their formation, the three positive attributes noted below are critical. Promotes immune strength. This is paramount when it comes to fending off a virus. Allows your body to ward off both fatigue and stress. Research suggests that cold sore breakouts can be caused by stress. Promotes the healing of compromised tissue. Vitamin C is good for preventing and treating HSV 1. Helping to rejuvenate the infected skin area is essential. Supplements, including powder, serum, and tablets/pills, can aid in prevention. It’s recommended that you take 3 times your normal dosage during an outbreak to boost your count of white blood cells. 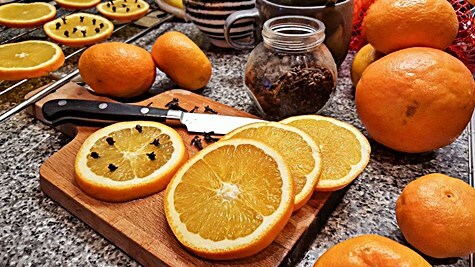 Traditionally mixed with water, Vitamin C powder has become popular in recent years. Typically found in straight powder or tablet dissolve form, the proper dosage of water serves to create a beverage. Another supplement to help win the battle against cold sores is vitamin C serum. Often packaged in a small bottle containing a dropper, vitamin C serum is often used as an anti-aging supplement. Simply manipulate the dropper and place three or four drops of serum on the skin. This action can lay a foundation that can prevent cold sores from forming. Perhaps the most common supplement is a standard tablet or pill. Often found in multivitamin or single form, vitamin C tablets are easy to purchase. Taking one or two tablets per day, most notably after a meal, can bolster immune health. Or in the case of cold sore prevention, critical skin and tissue health. The elimination of foods. Supplements allow you to go directly to the source. This is critical if your lifestyle is not conducive for daily cooking. Why worry about preparing a meal when you can consume a tablet? Supplement use can also be long-lasting in terms of shelf life. Purchasing a sizable container of powder, serum, or tablets will likely last longer than four or five oranges, for example. If you are searching for ways to complement ascorbic acid in your fight against cold sores these options can help. Vitamin A. Quite similar to vitamin C, vitamin A can serve to promote immune health. Carrots and milk are two notable items that contain this treatment aid. Vitamin B6. Helping your body to combat infection, vitamin B6 can potentially inhibit cold sore formation. This vitamin is not only critical for skin health but also hair and liver. B6 is the healing vitamin. Cheese and bananas are two common foods that contain this vitamin. Vitamin E. Regarded as a potent antioxidant, vitamin E can also prevent cold sores. By protecting white blood cells and promoting cell production, vitamin E is essential. Almonds and peanuts are two notable foods in this category. Here is some information on the vitamins needed to fight off cold sores. Used to heal cold sores rapidly, zinc can be used as a quick fix. If consumed on a routine basis zinc can prevent cold sore outbreaks. When complemented with vitamin C, zinc is a formidable treatment. Beans and cheese are two familiar foods that contain zinc. Deemed as an essential amino acid, lysine has been used to prevent cold sores for decades. Not only used as a formation blocker, but lysine can also halt the replication of the HSV 1 virus. Found in foods such as cheese, fish, and yogurt, lysine can also be taken in supplement form. 1,000mg per day is the recommended dosage for cold sore prevention. Lysine lip ointment is also a quality OTC. Similar to aforementioned vitamin C tablets, each of the vitamins listed above can be consumed in the same fashion. Although standard dosages of ascorbic acid are essentially harmless, elevated dosages can be problematic. This is especially true if you have pre-existing conditions such as cancer and high blood pressure. Listed below are just a few things to be cautious of during a high dose vitamin C plan. It is also worth noting that adults who take high dosages could face difficulties in regulating natural production. Once the dosage is reduced, the body could experience low blood levels of vitamin C in the short-term. The most common way people consume ascorbic acid is through various foods. Typically this consumption is achieved with little effort through casual eating. However, if your objective is to consume a high dose of vitamin C, your meals must be modified. Listed below are several popular food items that contain increased levels of this key vitamin. Likely the food item that most everyone associated with vitamin C, oranges are flavorful and nutritious. Whether incorporated in a salad or on a sandwich, lettuce is a quality food. Perfect as a stand-alone side item or added to a casserole, broccoli is good for cold sore prevention. Do you like lemon juice in your tea? If you have a cold sore, a bit of extra flavor could also be of healing benefit. While not always associated with vitamin C, this wildly popular fruit can potentially help you win the battle against HSV 1. Similar to the aforementioned broccoli, spinach can be eaten as a side item or in the main course dish. Packed with vitamin C, spinach is another nutritious food that can promote healing and prevention. Phytochemicals (bioflavonoids) can also be used to complement vitamin C.
Helping to aid in the resistance of infection while also helping the body to absorb vitamin C, bioflavonoids are important. The prominent colors found in fruits and vegetables are a product of bioflavonoids. You can find these essential phytochemicals in the notable foods listed below. These foods, in addition to many recognized under the vitamin C listing, all contain bioflavonoids. It is also worth noting that black tea, a popular beverage in certain circles, is also included. Marrying vitamin C and bioflavonoids has the potential to provide the greatest healing results. The notable food and drink items noted in this material can bolster your immune system dramatically. Taking charge of your diet is critical. This is not only essential for treating active sores but also preventing cold sores from forming in the first place. While definitive proof that vitamin C can prevent cold sores from forming is anecdotal, promoting good health is always a positive. Courtesy of an ascorbic acid rich diet of fruits and vegetables, the prevention of cold sores ‘may’ be possible. The noted beverages and supplements are also worthwhile and promising. Having a strong immune system and taking responsibility of your eating can change your life. As long as you educate yourself, pay attention to your body, and recognize side effects you should be fine. Trial and error is often the key when it comes to finding the right natural remedy. People who have embraced the cold sore preventative qualities of Herp Rescue Immune System Support have enjoyed promising results. It’s a good option if you get cold sores often. You can also read our Herp Rescue review. Knowledge is king. The more you learn about cold sore prevention, the more skilled you will be when it comes to stopping outbreaks. Consider combining supplements with a treatment that can prevent the virus from multiplying, such as the FDA-approved Virulite Device.